The deadline for linking bank accounts, SIM cards and government welfare schemes to Aadhaar is now March 31, 2018. Aadhaar linking deadline has been extended to March 31, 2018. Aadhaar is a 12 digit unique-identity number issued to all Indian residents based on their biometric and demographic data. It is issued by Unique Identification Authority of India or UIDAI. Why are government schemes asking for Aadhaar? Aadhaar helps government schemes to clean out duplicates and fakes and enables implementation of direct benefit programmes. Use of Aadhaar reduces the costs of identifying persons and provides increased transparency to the government in implementation of its schemes. Aadhaar linking is mandatory for all Indians, says government, and has asked the people to verify bank account, PAN, welfare schemes and SIM cards by linking them to the 12-digit unique biometric Aadhaar number. Does linking Aadhaar with financial accounts and schemes breach my Right To Privacy? The Supreme Court is yet to decide whether the Aadhaar is mandatory for welfare schemes and financial transactions, like getting a loan or filing taxes and whether it violates the constitutional right to privacy. Final hearings on the constitutional validity of the programme are set to begin on January 17, 2018. The top court is hearing a number of petitions that have challenged the validity of the 12-digit Unique Identification Number and the government's move to make it mandatory. What are the new deadlines for linking Aadhaar with various services? The new deadlines for Aadhaar linking with bank accounts, PAN cards, SIM cards, insurance policies, mutual fund investments, social security and welfare schemes, Public Provident Fund (PPF), Employees Provident Fund (EPF), among others, has been extended to March 31, 2018. What all needs to be linked with Aadhaar? By When? Bank accounts, National Savings Certificates (NSC), Public Provident Fund (PPF) and Kisan Vikas Patra, Insurance policies, Mutual Funds, Permanent Account Number (PAN), SIM cards, DMAT Accounts, Welfare schemes like public distribution services (PDS), cooking gas LPG, MNREGS, scholarships, Prime Minister's Jan DhanYojna, Employees' Provident Fund (EPF), National Social Assistance Programme and pensions among others needs to be linked with Aadhaar by March 31, 2018. What are petitioners, activists saying about linking Aadhaar? Petitioners in the Supreme Court have termed linking of the Unique Identification Authority of India (UIDAI) number with bank accounts and mobile numbers as "illegal and unconstitutional". Activists argue that linking Aadhaar would violate the individual's right to privacy, recently recognised by the Supreme Court as a fundamental right. 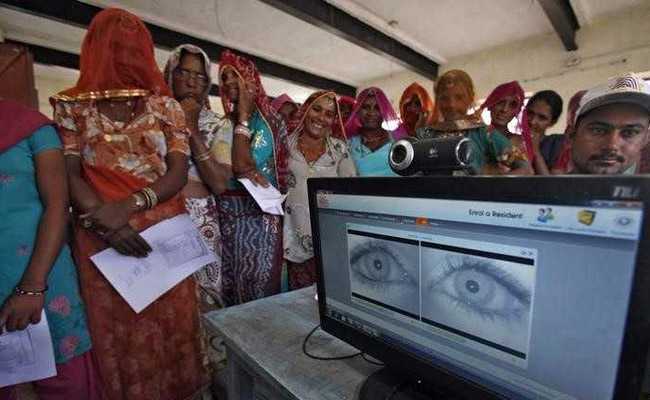 The large-scale sharing of biometric data like iris scans and finger printing also leaves room for misuse, activists have said.